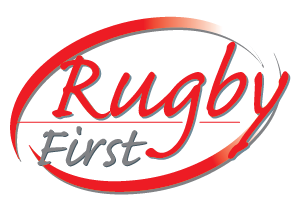 The most recognisable, visible, high profile and friendly face of Rugby First is the Rangers in their red uniform. Patrolling the town centre their presence and services have made a real difference to businesses and customers – ensuring Rugby is safe, friendly and welcoming for all and a great place to do business! A high profile uniformed presence that acts as a deterrent to criminals with direct radio links to CCTV operators that has led to a significant reduction in town centre crime levels. Regular and static security patrols in areas of high footfall, businesses and car parks to deter criminals and reduce theft from cars. Assisting businesses to tackle crime with floor, tag, changing room checks as well as free security advice, training and tailored workshops for managers and staff. Targeting of criminal activity in partnership with businesses, the Police and CCTV operators in the prevention, detection, apprehension of criminals, gathering of evidence, securing the crime scene and assisting businesses where required. Reduction of theft from vehicles in conjunction with the Police and CCTV operators and actively reminding members of the public not to leave valuables on display. Tackling of anti-social behaviour, graffiti and incidents quickly, professionally and effectively before they escalate. High quality customer service providing help, support, information and directions to visitors, enhancing the town centre experience for all and encouraging repeat visits. A trusted face to deal with first aid incidents, vulnerable persons and lost children. Reporting of Highway defects to the relevant authority, keeping businesses updated and pursuing them on businesses behalf until they are fixed. Management of street traders and rough sleepers professionally and sensitively. Supporting the marketing activities in the town centre.